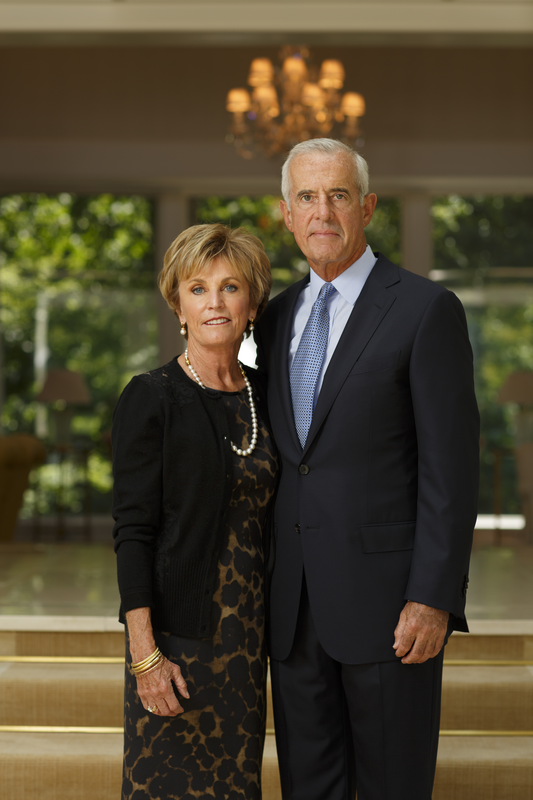 (Columbus, OH) – The Columbus Museum of Art today announced that its new wing will be named the Margaret M. Walter Wing in recognition of Robert D. and Margaret “Peggy” Walter’s transformational $10 million donation to the Columbus Museum of Art. The Walters’ donation remains the largest gift in the Museum’s history and became the foundation for the Museum’s Art Matters Endowment and Capital Campaign. The Walters are long-time supporters of the Museum. Peggy Walter began leading Museum tours as a CMA docent in 1971 and later joined the Museum’s Women’s Board auxiliary. She has also helped guide the Museum as a member of the Board of Trustees since 1994. The following organizations and individuals have given $1 million or more to the Art Matters Endowment and Capital Campaign and will also be recognized in the building: American Electric Power Foundation, Cardinal Health Foundation, City of Columbus, JP Morgan Chase, Loann Crane, The Crane Family, Jeffrey and Lisa Edwards Family, Franklin County Board of Commissioners, Ann and Tom Hoaglin, Huntington Bank, Patty and Jerry Jurgensen, Bob and Mary Kidder, Anne Harris Melvin, Nationwide Foundation, Ron and Ann Pizzuti, Elizabeth M. Ross, Ellen and David Ryan, Geraldine Schottenstein Hoffman and Martin Hoffman, William and Sarah Ross Soter, Al and Barb Siemer, Skestos Family Foundation, State of Ohio, Dr. Albert W. van Fossen,, The Wexner Family and L Brands Foundation, and Robert F. and Edgar T. Wolfe Foundation. The new wing will open to the public with a Community Grand Opening, presented by PNC Arts Alive on Sunday, October 25. The event marks the completion of the third and final phase of the Museum’s Art Matters campaign. The project encompasses major renovations to the Ross Wing and lobby area the Museum added in 1974 and the construction of a new wing. These changes will result in a unique meeting and special event complex, as well as new gallery spaces to showcase the Museum’s permanent collection and expanded space for high-profile traveling exhibitions.